The property boasts a rose garden with over 30,000 roses. Relax and take a stroll through the gardens and discover the beautiful roses produced by world famous growers. 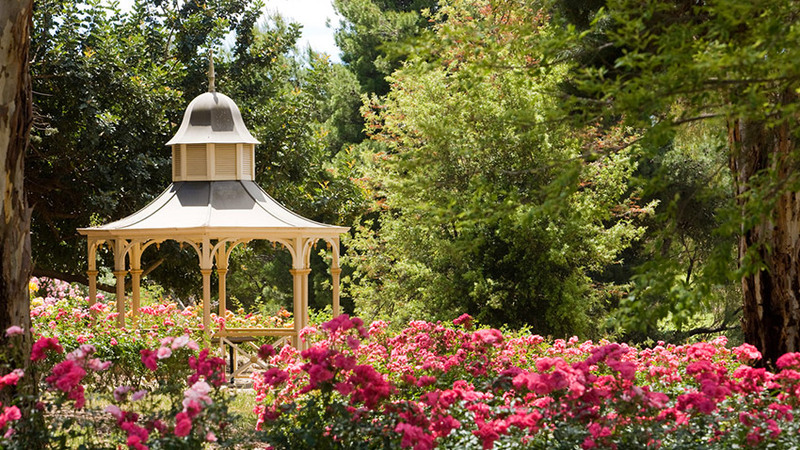 Relax on one of the park benches under a shady tree or enjoy a drink on the Terrace overlooking the Rose Garden and Barossa Ranges! Boasting one of the largest Rose gardens in the world, and one of the most important international collections, the garden is a jewel and worthy of a visit. Open area with a beautiful gazebo, old gum trees tower above with views of adjoining vineyards and the Barossa ranges. A footstep away is the “cascade of colour” multi-colour roses descending down the garden beds. A magical location to share with family and friends. 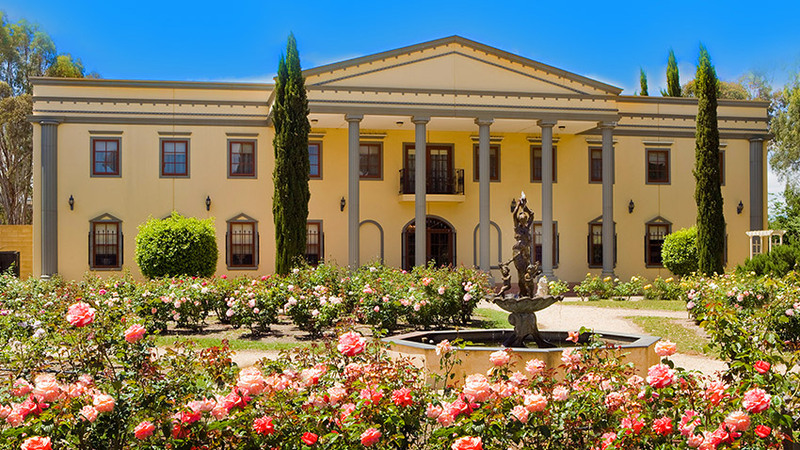 The perfect place to stop and smell the roses, steps shouldered by standard seduction roses lead you to the large open grass area surrounded by roses and stately trees, one of the most romantic settings in the Barossa overlooking the Barossa ranges. 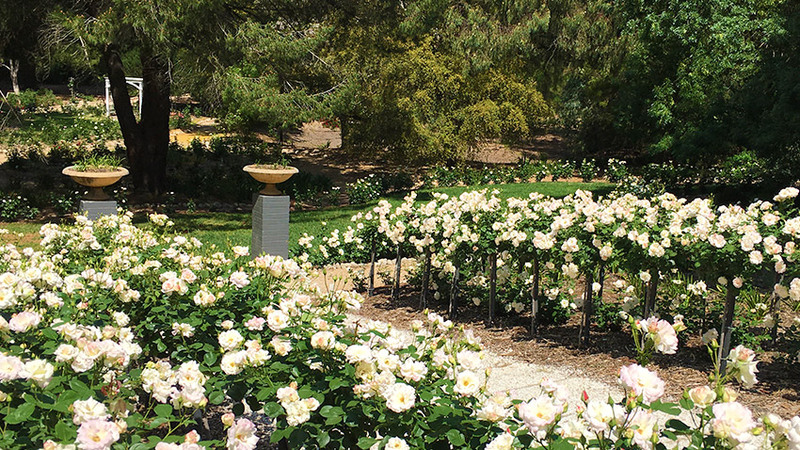 In 2000, the rose garden project began, an ambitious plan devised and carried through by one of the Barossa’s well known Barons, Hermann Thumm, culminating in the official visit and opening of the garden by HM Queen Elizabeth II in 2002.